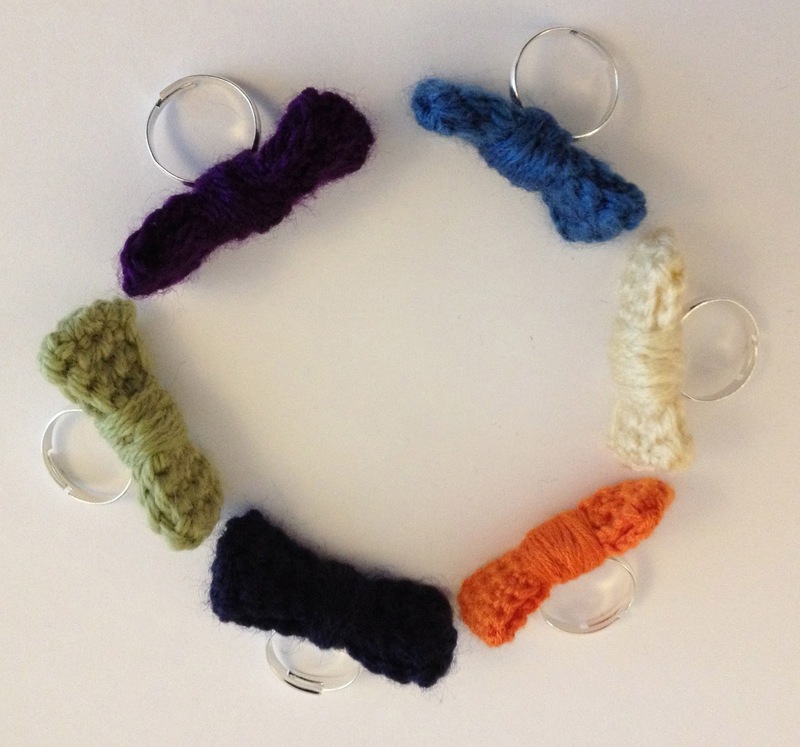 Mini Pea Bow Rings - crochet bows on adjustable ring bases. 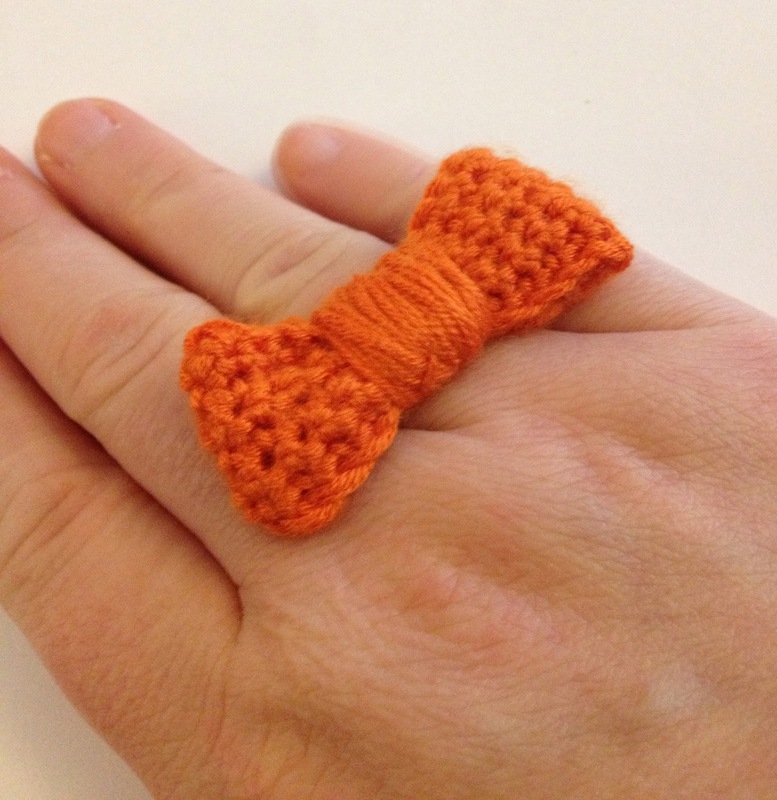 Inspired by the Pea Hair Bows and Bow Ties these rings bring a little splash of colour. Each bow is approx. 4cm x 1.5cm.